CHASING SECRETS hits USA TODAY BESTSELLER LIST! 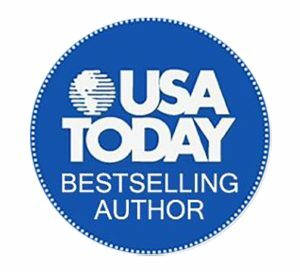 Happy to announce that my 6th novel, CHASING SECRETS, hit the USA TODAY BESTSELLER LIST!! SO very grateful to have worked with such a great group of authors. Thank you to every reader to helped us help PETS for VETS!! Her husband’s secret is priceless. Her attempts to retrieve it could be deadly. Barbara had everything she ever wanted—a successful career, a loving husband, and a beautiful baby on the way. She even had the incredible gift to know everything about a person from hearing their name. But when Barbara’s husband somehow evades her ability and secretly clashes with a ruthless criminal, it sends her whole world crashing down. As if the resulting tragedy isn’t bad enough, now a killer threatens everything she loves to reclaim a valuable cache of diamonds. To protect her family, Barbara must use her gift and the help of a handsome archaeologist to find the stolen gems before time runs out. If she fails to discover the treasure and finally understand her husband’s covert double life, then her once happy family will never be the same. 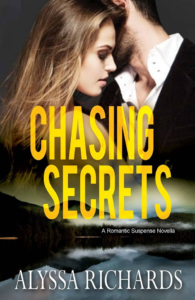 Chasing Secrets is a compelling standalone romantic suspense novel. If you like fast-paced action, sizzling chemistry, and second chance relationships, then you’ll love Alyssa Richards’ edge-of-your-seat thrill-ride. Buy Chasing Secrets to start a diamond of a mystery today!